Da Silva deal under FFA scrutiny. Apparently, FFA won't register him till it is sorted. Does that make him and new smurf keeper Cisak a pigeon pair? he will have Baro and Golec in front of him! 26yo who has only played 76 career games in La Liga 2 for 14 goals & who has spent the last 6 months lying on a beach in Thailand. It's a risk I wouldn't be taking. Translated from Dutch by BingWrong translation? Experienced midfielder signs Down Under a contract for two seasons. Wout Brama departs directly at FC Utrecht to go on an adventure with the Australian Central League Mariners. Brama was taken over by PEC Zwolle in the last winter, despite a continuous contract. FC Utrecht did that under the same contractual conditions as the Zwollenaren so that Brama could instantly fill in the position of the seriously injured Rico Strieder. Technical manager Erik ten Hag: "Wout made the move to FC Utrecht last season and he managed to complete the gap of Rico's position. He manifested himself as a very experienced player within our team and proved a great service with his team and his leadership. Wout has been a great wish for a foreign adventure for several years now. He agreed to a transfer to FC Utrecht on the condition that the club would work on a transfer if such a unique opportunity arose. Now this chance is over, Wout wants to grab these too. FC Utrecht thanked him for his contribution and commitment in recent months and wishes him a great success. Down Brama joined FC Utrecht in the Eredivisie, in the battle for the KNVB Cup and in the Europa League. In total, he played 21 parties for the Judges. The almost 31-year-old midfielder began his career at FC Twente, where he came to 231 competitions in 9 seasons. He was of great value among various trainers and celebrated various achievements in Enschede, such as the 2010 Country Championship. After his period at Twente, Brama passed 2.5 seasons at PEC Zwolle. Should be such a unique opportunity. Now this chance is over, Wout wants to grab these too. FC Utrecht thanked him for his contribution and commitment in recent months and wishes him a great success. Down Brama joined FC Utrecht in the Eredivisie, in the battle for the KNVB Cup and in the Europa League. In total, he played 21 parties for the Judges. The almost 31-year-old midfielder began his career at FC Twente, where he came to 231 competitions in 9 seasons. He was of great value among various trainers and celebrated various achievements in Enschede, such as the 2010 Country Championship. After his period at Twente, Brama passed 2.5 seasons at PEC Zwolle. Should be such a unique opportunity. Now this chance is over, Wout wants to grab these too. FC Utrecht thanked him for his contribution and commitment in recent months and wishes him a great success. Down Brama joined FC Utrecht in the Eredivisie, in the battle for the KNVB Cup and in the Europa League. In total, he played 21 parties for the Judges. The almost 31-year-old midfielder began his career at FC Twente, where he came to 231 competitions in 9 seasons. He was of great value among various trainers and celebrated various achievements in Enschede, such as the 2010 Country Championship. After his period at Twente, Brama passed 2.5 seasons at PEC Zwolle. FC Utrecht thanked him for his contribution and commitment in recent months and wishes him a great success. Down Brama joined FC Utrecht in the Eredivisie, in the battle for the KNVB Cup and in the Europa League. In total, he played 21 parties for the Judges. The almost 31-year-old midfielder began his career at FC Twente, where he came to 231 competitions in 9 seasons. He was of great value among various trainers and celebrated various achievements in Enschede, such as the 2010 Country Championship. After his period at Twente, Brama passed 2.5 seasons at PEC Zwolle. FC Utrecht thanked him for his contribution and commitment in recent months and wishes him a great success. Down Brama joined FC Utrecht in the Eredivisie, in the battle for the KNVB Cup and in the Europa League. In total, he played 21 parties for the Judges. The almost 31-year-old midfielder began his career at FC Twente, where he came to 231 competitions in 9 seasons. He was of great value among various trainers and celebrated various achievements in Enschede, such as the 2010 Country Championship. After his period at Twente, Brama passed 2.5 seasons at PEC Zwolle. The almost 31-year-old midfielder began his career at FC Twente, where he came to 231 competitions in 9 seasons. He was of great value among various trainers and celebrated various achievements in Enschede, such as the 2010 Country Championship. After his period at Twente, Brama passed 2.5 seasons at PEC Zwolle. The almost 31-year-old midfielder began his career at FC Twente, where he came to 231 competitions in 9 seasons. He was of great value among various trainers and celebrated various achievements in Enschede, such as the 2010 Country Championship. After his period at Twente, Brama passed 2.5 seasons at PEC Zwolle. Is it just me or are the foreigner signings this year quite good across the league? Well well well we have in the last 24 hours signed a 26 year old from Spain and an signed another Dutch Defensive midfielder. Our best squad in years. Well you guys had to spend the banked salary cap of the last 2 years. If you didn't questions would have asked. Plus beating the jets must have been sweet. Top 8 for CCM this year! Dark horse! Will be very hard to break down, and look stronger than Roar, Adelaide, Nix, Jets, Glory. Will give every other side a run for their money. There's not much better in the A-League season than a trip to the Central Coast when they are strong. Full stadium. Great atmosphere (mostly provided by us and partly by the brass band at the northern end). Great pre game pub where we are welcome. Great march. Scorching sun and humidity. It's a farking great day out. Out of the cup again against an NPL side. 2nd time in 3 years. Okon quoted this morning as saying that the gap between A-League and NPL is widening !! Guess that means the Mariners are on the wrong side of the gap? They were drawn against Burnley, who are a Premier League team that avoided relegation that year. Lincoln won 1-0 with a goal just before stoppage time. Even against Arsenal, they only lost 2-0. How wide is the gap between the English 5th tier & 1st tier? 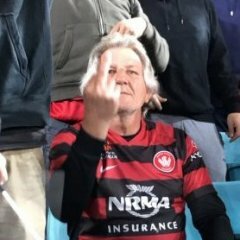 Weren't the WSW the first HAL side to be knocked out of the FFA cup by a lower tier team? Yup. And then we won the ACL a few months later. Making huge blanket statements about the quality of tiered leagues based on a handful of one-off games is silly. So three years ago Blacktown would have won 4 - 1 ? ?